The dress insert was from an old hankie given to my father from Megan and her brother and then I added the border and Megan and Matt’s initials and wedding date. Photo ©Nancy Ray Photography. 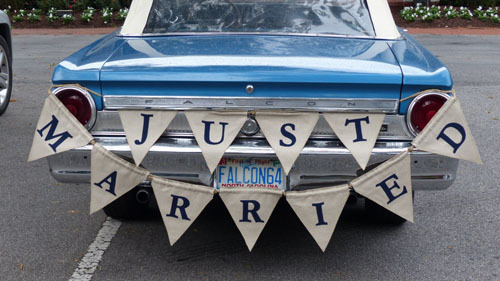 The flag across the Falcon was machine appliqued. 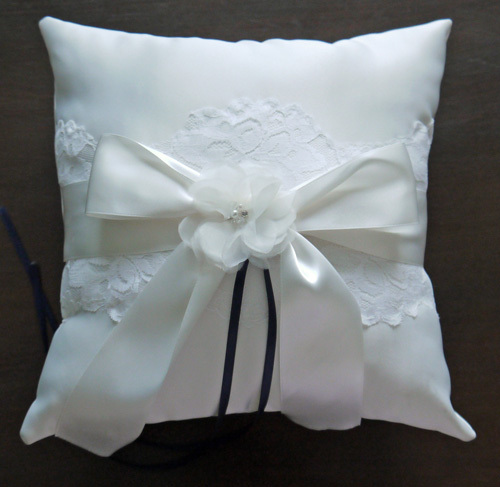 The ring bearer pillow was made using lace accents from my wedding gown. 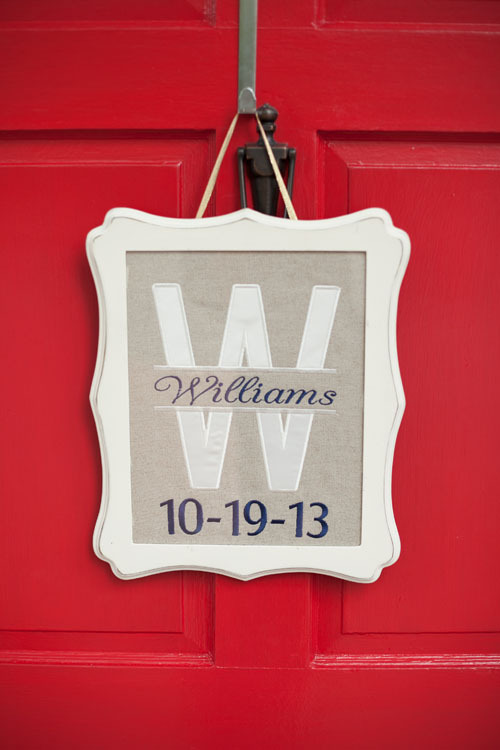 The “W” door decoration was made using the same satin used for Megan’s wedding dress. The “W” was created in BERNINA Embroidery Software and stitched with the Jumbo Hoop on the BERNINA 830. I have since made many of the split letters and given them as Christmas, wedding, anniversary and baby gifts. Photo ©Nancy Ray Photography. 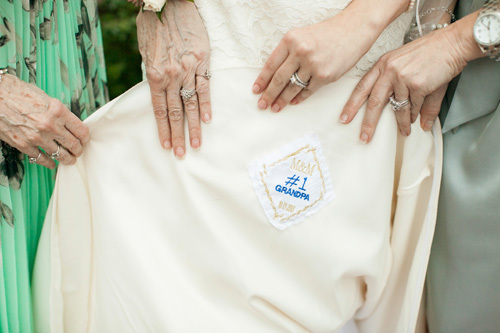 For even more DIY inspiration, check out the WeAllSew Sew Your Own Wedding board on Pinterest.